This is my third Yumbox. 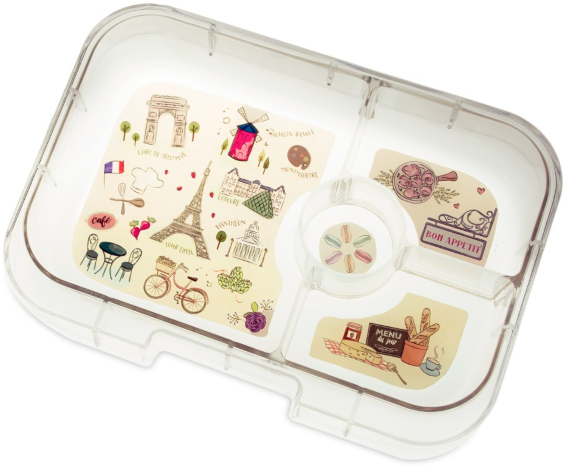 Theyâ€™re perfect for daycare and I love the cute designs on the tray. Great quality. 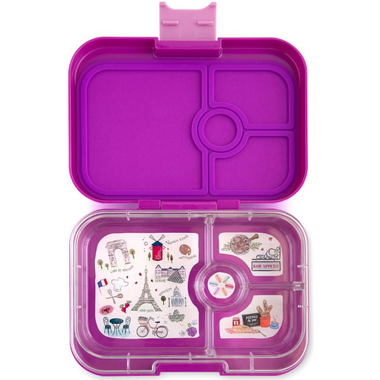 I love this lunchbox and so does my daughter! 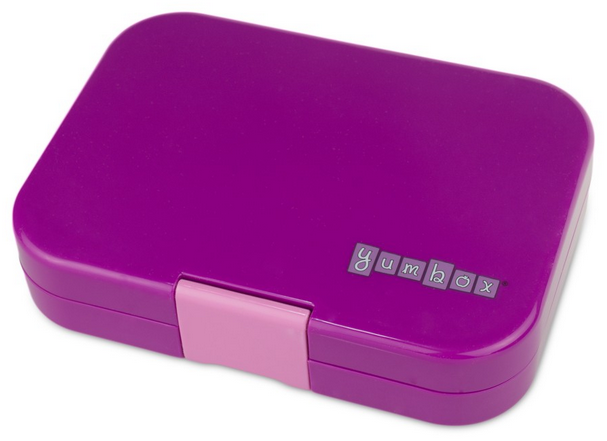 This is the second yumbox I purchase, and although itâ€™s pricey, itâ€™s worth it. Very easy to open and close. The compartments really do keep everything separate. The colours are great. I mix and match different trays! Great product!! I have two of these and they are easy to use, clean and are very cute. The reason for the 3 stars is due to he fact that one of them does not leak when sealed , but the other one does. If you put apple sauce or yogurt inside it will leak into the other compartments. Pretty disappointing for an expensive product. The product works great and my kids love it too. Kids find it easy to open and close. These are great for school lunches, the only thing is they do need to be washed right away, or they get mould on the lid rim. So easy to use and looks great. Just wish it was insulated as well. 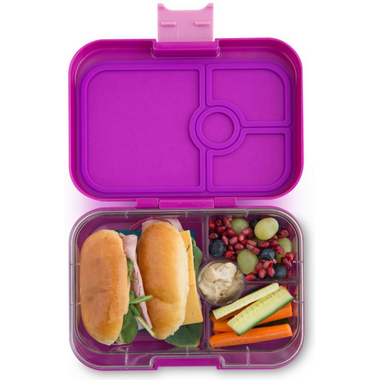 I absolutely love this product it works amazing for my daughter who is in Jk, she loves helping mommy pack her lunch! The only reason I gave it a 4 star instead of a 5 was because the yogurt spills all over the lunch if not sealed correctly, which is harder for a 4 year old to do. We have 3 of them at home, love them for school or lunch on th go. Perfect size for kids. Very easy to clean, easy for my 5 year old to open. I find it does leak though. When I put yogurt or dip in the small compartment, it leaks onto her other food. Not sure if it's getting a good seal or not, but I thought this was a spill proof container. Bought one for each of my jk & sk kids and we are so pleased with them! Easy to use/open, clean, and such fun colours! Bought this for my four year old. She loves it however we haven't had too much use as she starts school soon. She does find it easy to open and close. I'm hoping it lasts her a couple years! It did come highly recommended from fellow Mom's.